This year is Earth Day’s 43rd anniversary; and in that time, the eco-friendly observance has grown from a U.S.-only celebration (of only 20 million participants) to an international day of awareness, with an estimated 1 billion people from countries across the globe celebrating the day each year. This years’ Earth Day occurs next Monday, and, this weekend, there are a number of ways you and your family can celebrate nature and further benefit and support the environment in Central Texas. Twenty minutes north of Kyle, up in Austin, the weekend is filled with earth-friendly events, including Austin Earth Day Saturday April 20th, and the East Austin Urban Farm Tour, Sunday April 21st. Both events take place in Austin’s east side, and serve to showcase some of the city’s most eco-friendly businesses, farms and restaurants, musicians and non-profit organizations. Austin Earth Day takes place on Saturday in the “Historic Browning Hangar” in Mueller (off of Airport Blvd) from 12 – 7 p.m. The event features live music, (including an interactive drum circle!) speakers and presentations on topics like “Austin’s Progress Toward Becoming a Sustainable City” and “A Crash Course on Composting” as well as exhibitions and booths from over 50 Central Texas-based organizations, businesses and nonprofits. Food and drink will be provided from a number of Austin-based establishments, and there will be a Kid’s Zone for the young ones, with face painting, a petting zoo, an interactive storytelling stage, and more. The event is free and open to the public, which makes it the perfect way to spend an eco-friendly Saturday with the fam. On Sunday, the East Austin Urban Farm Tour showcases four of Austin’s urban farms in the Govalle neighborhood off Airport Boulevard, near 183. The guided tour provides attendees with the opportunity to experience the farms and produce fields of Boggy Creek Farm, HausBar Farms, Rain Lily Farm and Springdale Farm while learning about each of the farms and the way in which they operate. Additionally, chefs from a number of local restaurants who source from these farms will provide a sampling of food items, with accompanying beverages as well. Tickets to the event are $45 and can be purchased in advance, here. The East Austin Urban Farm Tour has sold out the past two years, so buy yours now! The following Saturday, April 27th, San Marcos hosts another Earth Day celebration at the San Marcos Springs. This event features live music performances from local bands “Green Mountain Grass,” “Albanie and her Fellas” and “Those Nights” as well as educational booths, green vendors and a kid-friendly talk from Doc Edwards from the Edwards Aquifer Authority and Karson, his Texas Blind Salamander puppet sidekick. The event benefits the Hays County Food Bank, and if you bring a non-perishable donation to the celebration, you can receive $2 off a glass bottom boat ride that day! San Marcos also hosts a weekly farmers market every Saturday throughout the year where attendees can get local produce, sustainable products and other food items from a number of Central Texas-based farms and green organizations. For other Farmers Markets in the area, check out Edible Austin’s list of Central Texas farmers markets and resources. If you’d rather celebrate Earth Day on your own, there are many ways for you and yours to help and benefit the environment. Try to walk or ride your bike to school or work instead of getting in the gas guzzler, make a bird feeder from a milk carton or an empty liter soda bottle, plant a tree or flowers at home, or spend an afternoon outside walking around Lake Kyle or one of Plum Creek’s many parks. Or you can practice Earth Hour by turning off the lights, and the TV, and the computer, etc. in your home for one hour. Use the time to chat with the kids about sustainability, or do something fun by candlelight like reading a book. 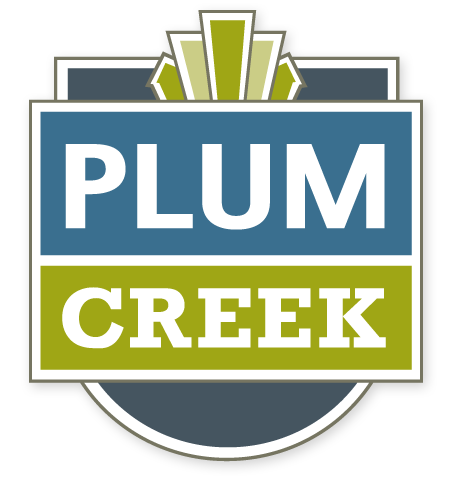 In Plum Creek, the New Urbanist community located in Kyle, being green is easy, as the neighborhood privileges alternative modes of transportation, and there are countless ways to get out and enjoy the environment in the neighborhood! The streets are designed to slow traffic, and sidewalks offer residents the perfect space for taking a stroll and stretching those legs. Additionally, homes, amenities, schools and businesses are located within walking distance from each other, so you can virtually get anywhere in the neighborhood without the car. If that’s not green we don’t know what is! With wedding season upon us, a multitude of save-the-dates, invites and thank you notes start piling in the mailbox. Whether you’re a guest, in the bridal party or betrothed to wed, wedding season can put a strain on your creativity but rest easy, we’ve got you covered. Constructed from repurposed wood and tin, Vista West Ranch was built on the grounds of a private home and offers the perfect backdrop for true intimate, entertaining Hill Country wedding. Family owned and operated, Vista West Ranch ensures each wedding party is set for a memorable and worry-free event. It’s the perfect way to cross “something old” off your list. Based in Austin, Texas, Limbo Jewelry Design offers artisan taste at an affordable price. 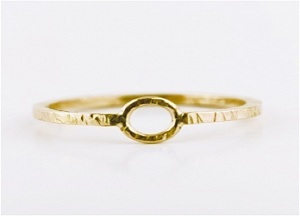 Even though every gal wants to broadcast her marriage in her own way, this dainty little ring offers subtlety and style, and, just like every marriage, each one is unique. Loot Vintage Rentals does not offer your run-of-the-mill wedding rentals. Their mismatched china, suitcases, vintage frame displays, colored glass jars, and even handmade garlands provide couples with unique and personable décor for their wedding needs. Based in Austin, Texas, Loot covers everything from seating, to dining, and even altars for all of the Texas Hill Country. Gentlemen always look a bit more dapper with a bow tie. STAG offers a range of vintage inspired clothing and accessories for the modern man.